When her Vanity Fair cover was released this morning, Caitlyn Jenner did a better job of breaking the internet than Kim Kardashian - but the ‘damage’ is far from over. The story—a captivating profile of Jenner written by Buzz Bissinger—is every bit as memorable as its cover. Bissinger (a “cross-dresser with a big-time fetish for women’s leather”) called it “the most remarkable story I have ever worked on in 38 years as a journalist,” and it’s easy to understand why. Below are some of the most notable quotes that followed the already-legendary “Call me Caitlyn” headline. He played by himself because he almost always played by himself, a loner who said he wasn’t lonely, although it was hard to see the difference. 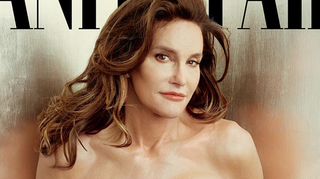 Bruce Jenner was ‘always telling lies.’ Caitlyn ‘doesn’t have any lies,’ she says. He tried out for the lead role in the film Superman, which was too much of a stretch without any acting experience, although Jenner was actually one of the great actors of our time. Jenner insists that he was a ‘good solid b cup’ when he met Kris Kardashian. Jenner is emphatic that he told Kris he had taken hormones in the late 1980s up until the year the met...He finds it implausible for her to suggest she was not aware of his gender struggle. On receiving a call from TMZ in 2013 about her tracheal shave. Jenner remembers pulling his car to the side of the road. He pleaded that nothing be published because it would “destroy lives.” The pleas were unsuccessful...The night after publication, he contemplated suicide with a gun he kept in the house. As part of the transition, Jenner started hosting intermittent and small gatherings called “girls’ nights,” casual occasions with wine and food in which Jenner could dress as desired and feel natural and comfortable in the presence of women. On her current relationship with daughter Cassandra. On July 15...she will be awarded the Arthur Ashe Courage Award at ESPN’s ESPYs in Los Angeles. The full profile, currently available to subscribers only, can be found here.